Free Yourself from the "plight" of Mercury Retrograde - You are Safe! - Wealth ~ Abundance ~ Joy NOW! Free Yourself from the "plight" of Mercury Retrograde - You are Safe! Here we go again. 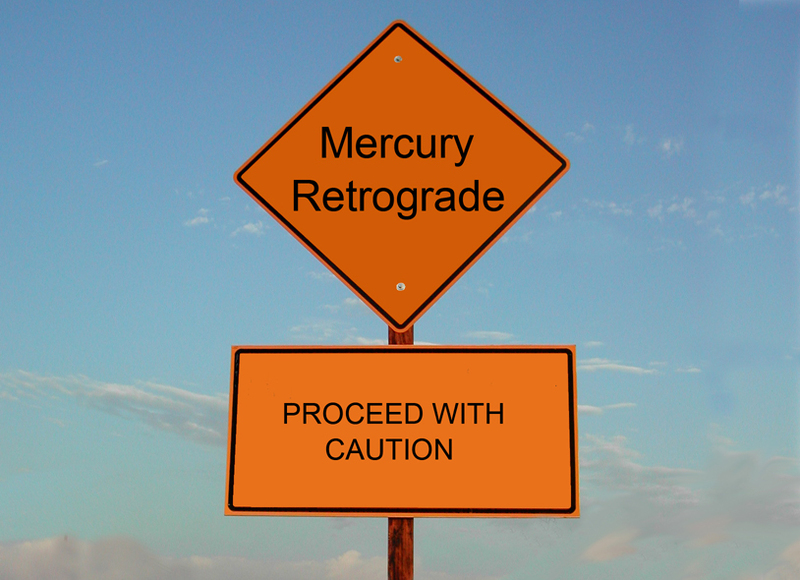 That pesky phenomenon that strikes fear in the heart of otherwise fearless people - Mercury Retrograde has arrived! What is Mercury Retrograde? It's an illusion! Mercury doesn't move backward at all ever. Mercury retrograde is an optical illusion from our position in the solar system. There is no retrograde, ever. Mercury retrograde is a BELIEF system created around an optical illusion. It's the superstition around this small planet and it's small fast orbit that will get you. If you believe in the superstition of Mercury Retrograde, you are planning for some lofty disasters and taking lots of precautions. You expect the disruptions and when they show up you know who to blame.. that pesky Mercury! In actuality, you create your experience with your focused attention and you get what you expect. Don't focus on and believe in the superstiton and it won't show up for you. You'll barely notice that the planet is in it's "backward phase". What's really going on is that Mercury is on the other side of it's orbit and because it's orbit is smaller than the Earth's, we see all of it's orbit. As Mercury loops around the Sun it's orbit is inside of the Earth's and it appears to move backward because it makes it's loop around before we do. Take a look at the video below to see how Mercury's orbit looks to us: Merkur = Mercury; Sonne = the Sun. It's time to take your power back from Mercury and it's retrograde! Decide that this period of Mercury (appearing to) move backwards will be one of ease, relaxation and good fortune for you! Use the time to slow down and reflect. You and your stuff are safe! To embolden yourself during this current Mercury Retrograde, I recommend watching Astrologer Aura Galadriel Wright (the Astrology Chick) as she discusses and demystifies Mercury Retrograde and checking out this post here and the links within for additional intelligent discussion of the opportunity of the current retrograde.